It’s finally here! Although Thanksgiving is rolling in a little later this year, if you’re like me, it still found a way to sneak right up. It’s pretty easy to cook the same foods that you’ve been cooking for the last 20 years. Even though you keep thinking that one of these year’s you’ll lighten up your Thanksgiving meal, time gets away and looking up new recipes just gets pushed off until next year… again! So, to make it a little easier, we’ve pulled together our list of favorite sites to find lighter versions of your favorite Thanksgiving classics. It’s important to remember that the key to a healthy Thanksgiving plate is still portion control. Although adding lighter, healthier ingredients to your foods is a great addition to a healthy diet, portion control is still very important. TIP: Fill your plate with your favorite fruits and vegetables. Then, fill in the holes with those other foods that you wait all year to enjoy. And, remember, don’t be too hard on yourself. Enjoy your favorite Thanksgiving foods on Thanksgiving. Just remember to get back to your healthy daily eating habits quickly after the holiday! Mayo Clinic: As a trusted professional in health and medicine, the Mayo Clinic is a great place to turn when looking for health information. 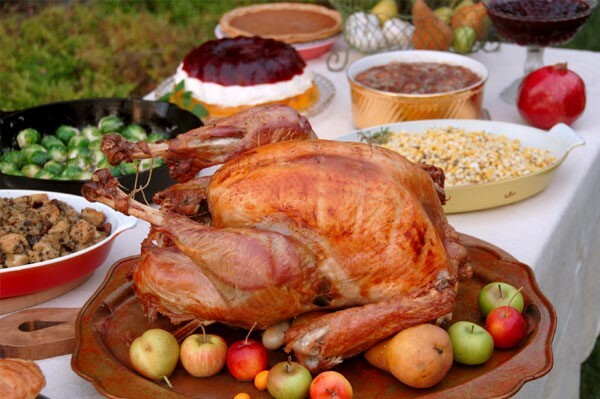 They have incorporated some great healthy Thanksgiving recipes in to their site. Sorted by dish, they are easy to search and find. Simply Organic: Offering a full line of organic seasonings, Simply Organic has created a website chocked full of healthy renditions on many holiday classics. Plus, you can bank on the fact that the recipes will be full of flavor! Eating Well: There motto is “Where good food meets good health” and they aren’t kidding! These guys have put together a great resource for healthy cooking with recipes, menus and news. Thanksgiving is no exception… you’ll find some great recipes. Including a healthy spin on one of my favorites, green bean casserole. Readers Digest: We’ve been turning to Readers Digest for everything, including the best holiday recipes for years. Now, you can get healthy recipe ideas from them too! If you’re looking for a side dish, this is the place to go! EatRight.org: Of course the dietitians over at the Academy have great resources for every holiday, event, age and topic. They’ve also put together a little shopping guide for Thanksgiving. It’s not a lot. But, it’s got a few tips for shopping with a healthy Thanksgiving meal in mind. Pinterest: Of course, every recipe imaginable can be found on the new super recipe book… Pinterest. I’m a huge fan of this Healthy Thanksgiving board by Brittany Mullins though. If I had the time, I would try EVERY single one of these recipes. Maybe if we split it up, we can cook through this board together!